Wanna work together, yeah yeah yeah? Contact us here. Read Receipts and Elizabeth Holmes have joined forces to create merch for her insanely popular royal commentary series. Binge-view all the thoughts on Elizabeth’s Instagram highlights, then shop the limited edition collection of hand-embroidered sweatshirts and T-shirts here. 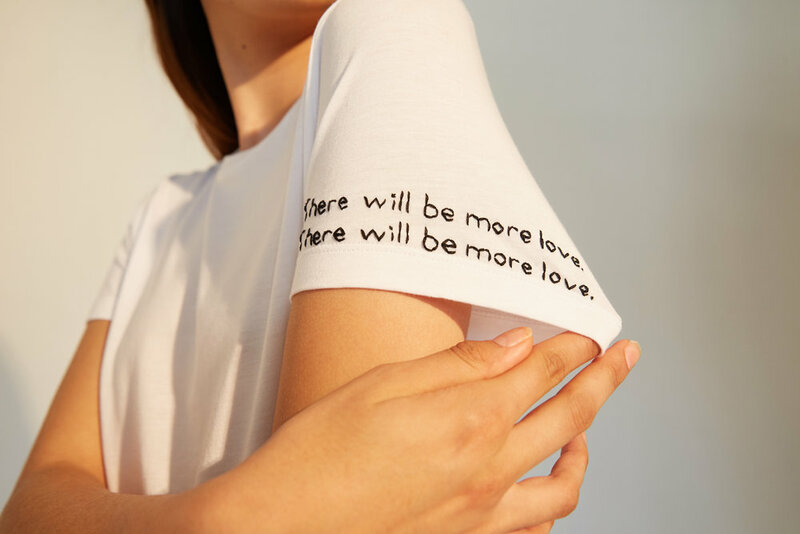 Club Monaco paired up with Read Receipts to hand-embroider poetry by Yrsa Daley-Ward onto 100 T-shirts. The small run, limited edition collection features lines of poetry from her latest book, bone, with three different quotes to choose from. Read more about the collab here. Sweet is the first-ever brand to launch on Snapchat Discover, swiped through by millions of young readers from around the world every day. Learn more about this collab in the highlights on our Instagram page. Cheeky is a hilariously candid and uncomfortably relatable blog on all things bodily and female by master illustrator Ariella Elovic. Follow The Cheeky Blog on Instagram here and binge its website here. Read Receipts x Hey Ladies! Hey Ladies! is a column-turned-book by comedic geniuses Caroline Moss and Michelle Markowitz that follows a group of eight friends for one year of bachelorette and wedding planning. It will make you simultaneously laugh out loud and groan with painful recognition. Buy a copy of their delightful book here.